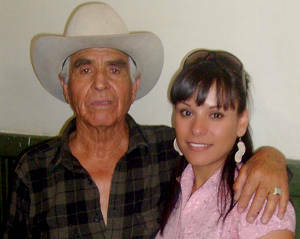 Juan Quezada Celado singlehandedly revived the Paquimé pottery tradition in the Piedras Verdes, Palanganas and Casas Grandes river valleys around Casas Grandes and Mata Ortiz. 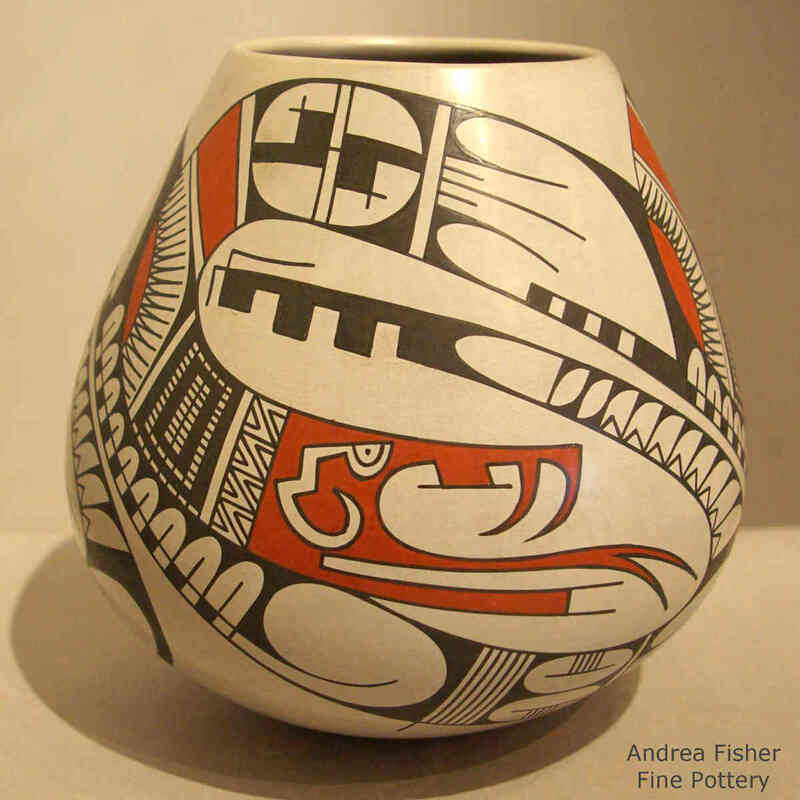 By 1970 he had perfected the making of slip oxide paints, found sources of many different clays, learned how to use tempers to keep pots from cracking in firing, discovered multiple fuel sources and developed different methods of firing. He also opened the door to many different sales venues and overcame other business hurdles. Then he began teaching his methods and techniques to his brothers and sisters, then to his neighbors, then to people all over the world. Juan Quezada is also the primary developer of the "Quezada style," a design element that typically creates a feeling of impending excitement. 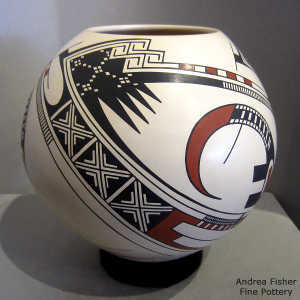 He often paints mirror images of designs on opposite sides of a vessel in two, four or six divisions. 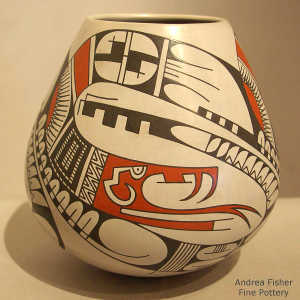 He also often paints S-curved lines and other elements that flow across a vessel from top to bottom. Open space is part of the overall design. When looking directly at the top or bottom of a piece, the design usually resembles a pinwheel of equally spaced sections that get their spin from the center.